Look at historical patterns: looking at previous Triad periods can give you a reasonable indication of when these spikes are likely to happen. For instance, since 1990-91, all Triads have taken place between 4:30pm and 6:30pm, with nearly nine in ten falling between 5pm and 5:30pm. Assess what you can do to limit your energy usage during these times. You can view the past few years’ data on the National Grid’s website. 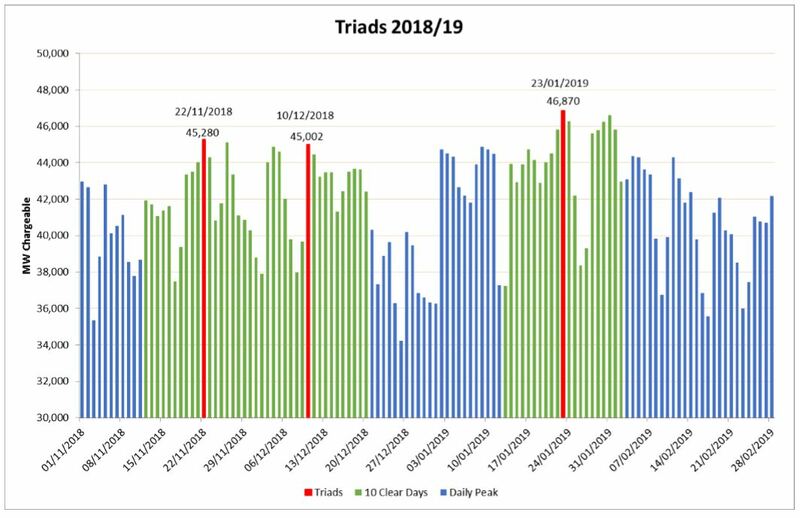 The last few seasons have also seen patterns emerging around the days of the week when Triads occur, as they often fall on Mondays and Thursdays. However, it’s important to highlight the inherent uncertainty involved in making exact predictions – and when it comes to forecasting Triads, we’d always recommend taking advantage of existing services, such as our Triad alerts.